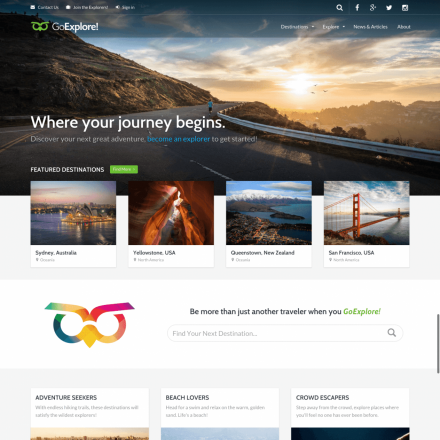 Backpack Traveler is a premium WordPress theme. You may translate it to your language with Poedit translations editor. 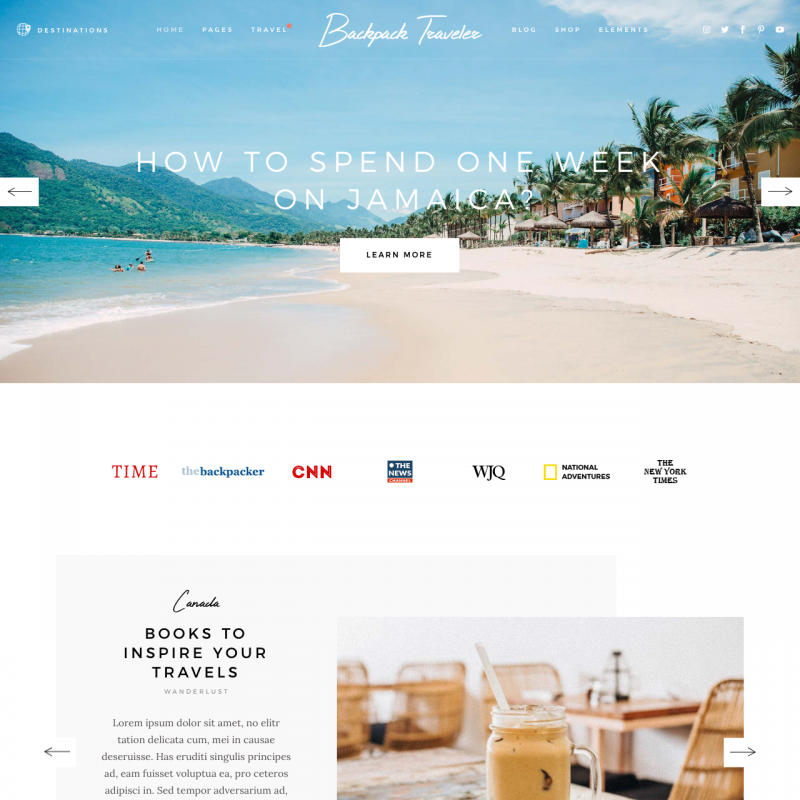 Backpack Traveler theme is designed specifically for traveler bloggers. 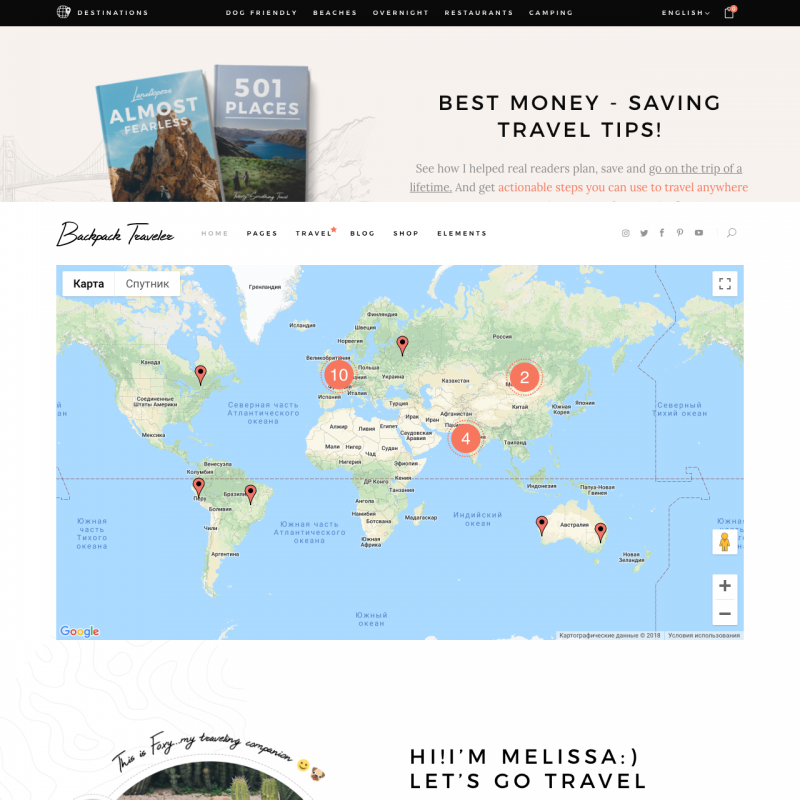 You can publish your guides, mark visited places on the map, use beautiful sliders, Parallax, video backgrounds, product list shortcodes, galleries and much more. 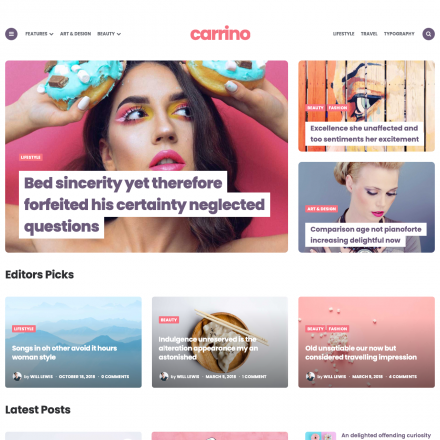 The theme offers several options for the header, it’s compatible with the Visual Composer plugin and allows you to build pages with different sections like team, clients, price tables, and infographics. Keep in mind that plugins like Visual Composer can make a site heavier. Developing your pages with the page builder can take a long time, but you can import ready-made pages from the demo website in one click.